Do you remember Moritz Waldemeyer? He’s the guy who built Bono his crazy laser jacket for the 360 Tour. Moritz is an amazing designer – he’s designed illuminated clothing and all kinds of crazy stuff for many famous people – Rihanna, the band OK GO, Michael Jackson, and the Black Eyed Peas to name a few. 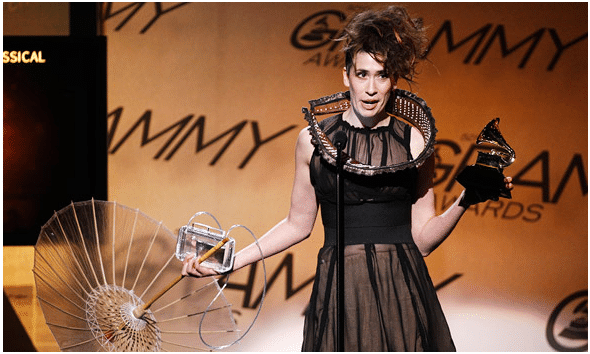 His newest “thing” is a dress made for Imogen Heap to wear at the Grammy Awards – LED flexible fabric, with an interface designed by MSA Visuals that displays tweets and photos in real time coming from the web. Awesome! 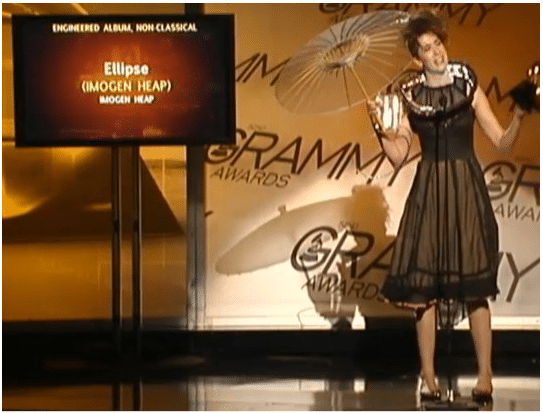 Heap, who composes her songs at home in Essex, attended the ceremony in a “Twitter dress”. At first sight her self-made outfit consisted of an oversized necklace studded with flashing lights and a transparent handbag that doubled up as a television. In fact, the necklace was a digital sign displaying messages that her fans were writing on to her Twitter profile. 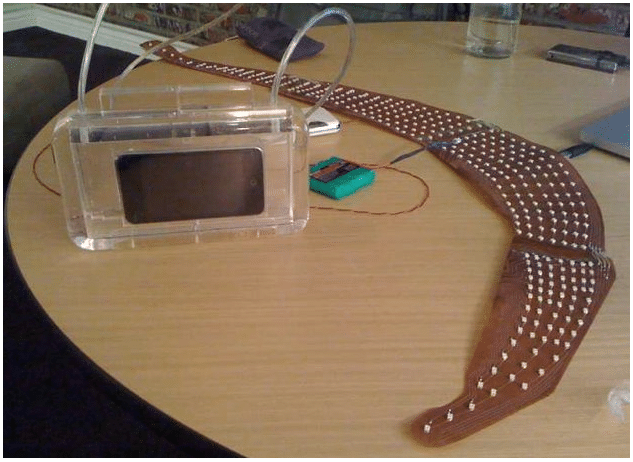 Those tweets were relayed to her jewellery through a wireless router – equipment that provides an internet connection – embedded inside her black dress. Next articleVectorial Elevation – Submit Your Designs! Halogen lamps have a lifespan on average of 3,100-8,000 hours, and despite their terrible light and Hg-insanity, they last on average between 6,000-16,000 hours.